Jennifer is one of many online friends I’ve made through Wordsmith Studio. I’m happy that her novel, The 228 Legacy, is published and that she’s agreed to this interview. 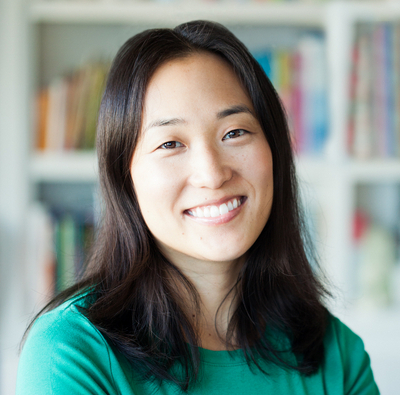 Jennifer J. Chow, a Chinese-American, married into the Taiwanese culture. The 228 Legacy was inspired by the family stories she heard after viewing photos of a two-million-person human chain commemorating 228. She has traveled multiple times to Taiwan and visited places dedicated to the incident. Her experience with the elderly comes from a gerontology specialization at Cornell University and her geriatric social work experience. You can visit her online at www.jenniferjchow.com, or follow her on Twitter and Facebook. Your new website’s tagline is “Asian-American fiction with a geriatric twist.” Your old blog’s was “Fortune cookie wisdom meets an Asian American writer’s life.” How does this change in tagline reflect your evolution as a writer? JJC: The blog continues to reflect my fortune cookie life and how I’m twisted into the dual selves of my Asian-American identity. Plus, my posts still start off with a Chinese proverb, and the saying is woven into the content. When I evaluated my fiction writing, though, I discovered certain themes coming through. I enjoyed exploring various aspects of the Asian-American experience. Also, many of my stories contained older adult characters as key figures and examined the interplay between different generations, so I added in the “geriatric twist” to my tagline. WG: How has your work in the geriatric field influenced your writing? JJC: I’ve heard so many unique and interesting tales from my previous clients. They shared with me their life journeys and provided a lot of inspiration in my own stories. Additionally, I have a strong desire to shed light on the inner workings of people as they age. I also wanted to highlight older characters, individuals who are often caricatured in the arts—or not mentioned at all. JJC: I always wrote as a child, starting with a pencil on lined paper. During a field trip to the Natural History Museum of Los Angeles, I dropped a journal entry without realizing it. Later on, one of my schoolmates picked it up, asking, “What’s this? It reads like a story.” When I grew older, I borrowed my father’s typewriter for writing. I even remember him taking my childhood manuscripts and showing them to his colleagues at work. WG: When I saw your book, I immediately thought of Amy Tan (The Joy Luck Club). Not that it’s a poor comparison to beg, but how is The 228 Legacy different? WG: How did your experience in the Amazon Breakthrough Novel Award competition contribute to your success as a novelist? JJC: I think entering the competition gave me more confidence. When I realized that I had made it to the second round, I understood that other people might really be interested in this story. When the contest passed and I started submitting the manuscript to publishers, it also didn’t hurt to mention my experience with the ABNA competition. WG: What’s next for you and The 228 Legacy? JJC: I’m hoping that more people will become aware of my book and that readers of all cultural backgrounds will be able to relate to and learn from the book. A specific event I’m looking forward to is my book launch party on Sunday, September 15 at 4pm at Pages bookstore in Manhattan Beach, California. It’ll be a fun celebration of the book’s release, complete with an excerpt, reader testimonials, a raffle, and delicious Taiwanese snacks! Thanks for a great interview, Jennifer! All the best with your future writing endeavours. Three generations in an all-female Taiwanese family living near Los Angeles in 1980 are each guarding personal secrets. Grandmother Silk finds out that she has breast cancer, as daughter Lisa loses her job, while pre-teen granddaughter Abbey struggles with a school bully. When Silk’s mysterious past comes out—revealing a shocking historical event that left her widowed—the truth forces the family to reconnect emotionally and battle their problems together. 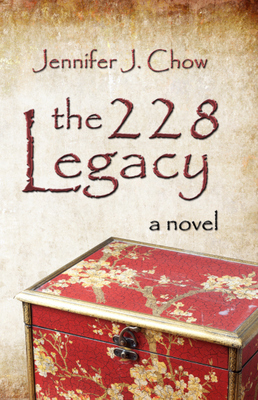 A novel of cultural identity and long-standing secrets, The 228 Legacy weaves together multigenerational viewpoints, showing how heritage and history can influence individual behavior and family bonds.